Danny Larcom Heating & Air, Inc.
Geothermal heat pumps are much more efficient than traditional heating and cooling systems. The York®Affinity™ YAF is rated with an amazing 30 EER and 4.8 COP, which makes it one of the most efficient dual stage units on the market. Efficiency translates into savings. 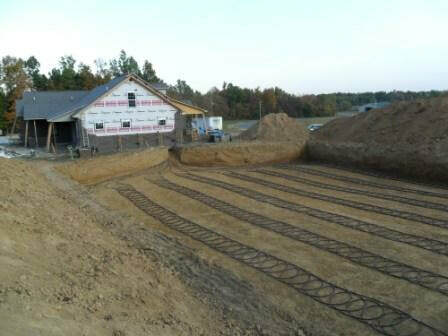 Danny Larcom Heating & Air, Inc. goes green with the installation of their first geothermal system. Danny Larcom Heating & Air, Inc. recently worked to install a geothermal heating system in Obion County at a local resident’s home, marking the local business first geothermal installation. Most people have learned of geothermal heating but do not know it true benefits. It has been proven to be considerably more energy efficient, a spokesman for the company said. Some local residents recently decided the geothermal heating system was the best choice for them on the site of their new 4,000-square foot house in the Troy area. The job required 6,400 feet of pipe laid in an 80 by 90 foot hole dug into the ground eight feet deep. Geothermal heat pumps (GHPs) use the constant temperature of the earth as the exchange medium instead of the outside air temperature. The system can reach fairly high efficiencies – 300 to 600 percent- on the coldest of winter nights, compared to 175 to 250 percent for air source heat pumps on cool days. Geothermal installation is considerably more expensive than an air-source system installation. Even though the installation price of a geothermal system can be several times that of an air-source system of the same heating and cooling capacity, the additional costs are returned to the consumer in energy savings in five to 10 years. Larcom said it is assumed geothermal is a new technology, but it has been in use since the early 1940s and is a well researched technology that has been perfected over the last few years. Geothermal Tax Credit – Along with the yearly energy savings, the government is offering a 30 percent no limit tax credit on a full install for homeowners. 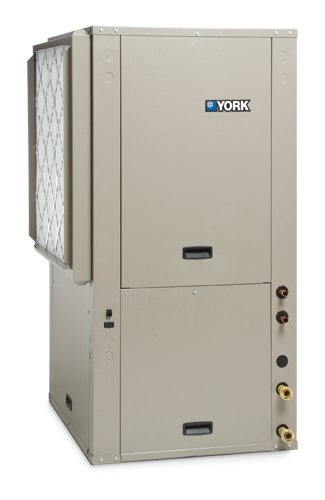 Danny Larcom Heating & Air, Inc., is currently offering 0% financing for all YORK products for 60 months with approved credit. Check out our Financing page to learn more or simply apply below! Danny Larcom Heating and Air Inc.